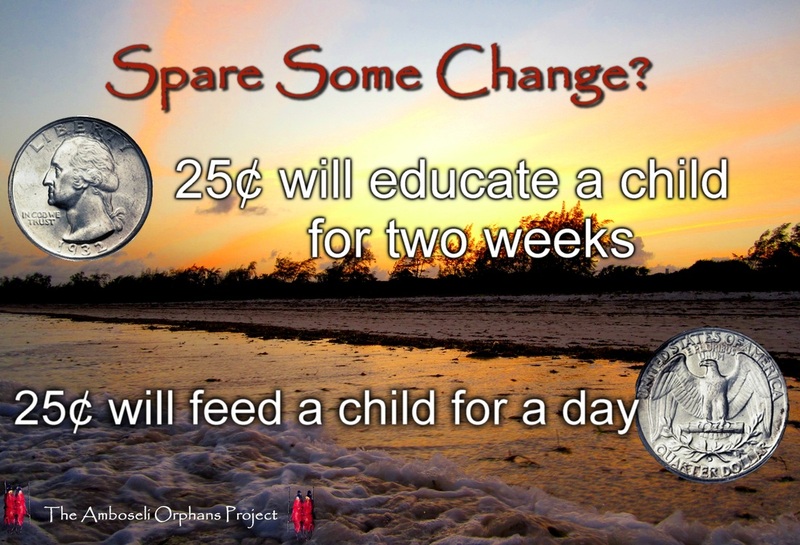 Please visit the the Amboseli Orphans Donation Page if you wish to support a child. A primary (elementary) education is surprisingly cheap in most East African Countries, Kenya in particular. In this program the average price of enrolling a student primary school is only $0.25 for one month. This includes payment for school fees, tests, supplies, and uniforms. Despite the seemingly cheap price of an education, many orphaned children are not supported for schooling. The Amboseli Orphans Project currently is supporting 18 primary students for the 2012 year, which costs only $118 for all students. The remaining children in our program are currently too young to begin studying, but will soon be requiring support as well. Ideally, we hope to support our students into their secondary schooling, however this goal has possible limitations as the cost of secondary schooling can range up to several hundred US dollars per student per year. The main function of this program is to enroll and support as many orphaned children in school as possible; in Kenya, it is commonly seen that those children who do not attend school are more likely to fall well below the poverty line. It is widely agreed throughout Kenya that investing in education means investing in the future success of the pupils and Kenya as a nation. Your support is a step in the right direction! The other main function of this project is to provide monthly food aid to the children and their caretakers. 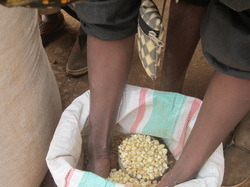 Maize (corn) and beans are staples in the Kenyan diet. However, the price of these food products have almost doubled in the past year as Kenya has undergone a severe food shortage which has been stimulated by an ongoing drought. Click here to read more about food shortages in Kenya. Still $0.25 is enough to provide a child in this program with three meals of maize and beans daily. However as we support the food needs of over 30 children, it has quickly become a heavy financial burden to continue support. Once again, your support is appreciated and will manifest itself as a warm meal for a child who otherwise may not get it. Thank you. The Amboseli Orphans Project is an "umbrella-organization" of Crooked Trails, a Seattle based non-profit tourism organization. Crooked Trails is happy to support our project, allowing us to use their non-profit status as a way for any donations to be tax deductible. All donations will technically be made to Crooked Trails, but are wired to support this project. To learn more about Crooked Trails, click here. Crooked Trails is a registered 501(c)(3) non-profit organization. As such any donations to Crooked Trails are tax deductible. They send tax receipts for all donations with applicable federal tax information.